We have known since antiquity that the seat of learning is the human brain. But it has only been in the last decade that neuroscience researchers have been able to go inside the brain and observe how learning actually occurs at the molecular level. New technologies like diffusion imaging have opened up the brain’s inner workings and allowed scientists to “see” what is going on inside the brain when people are engaged in learning. More sophisticated experiments with the brains of laboratory animals are stretching the bounds of our understanding further. To comprehend the way learning occurs in the brain, here’s a brief primer on its physiology. The brain acts as a dense network of fiber pathways consisting of approximately 100 billion (1010) neurons. 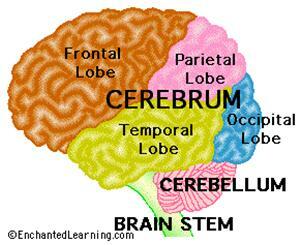 The brain consists of three principle parts – stem, cerebellum and cerebrum – as shown in Figure 1 below. Of the three, the cerebrum is most important in learning, since this is where higher-ordered functions like memory and reasoning occur. Each area of the cerebrum specializes in a function – sight, hearing, speech, touch, short-term memory, long-term memory, language and reasoning abilities are the most important for learning. So how does learning happen? Through a network of neurons, sensory information is transmitted by synapses (see Figure 2) along the neural pathway and stored temporarily in short-term memory, a volatile region of the brain that acts like a receiving center for the flood of sensory information we encounter in our daily lives. long-term memory, the vast repository of everything we have ever experienced in our lives. This process occurs in an instant, but it is not always perfect. In fact, as information races across billions of neurons’ axons, which transmit signals to the next neuron via synapse, some degradation is common. That’s why many of our memories are incomplete or include false portions that we make up to fill holes in the real memory. University of California Irvine’s Center for the Neurobiology of Learning and Memory proved it. In experiments with mice, they were able to isolate and observe the actions of the brain while learning a new task. Researchers found that when two neurons frequently interact, they form a bond that allows them to transmit more easily and accurately. This leads to more complete memories and easier recall. 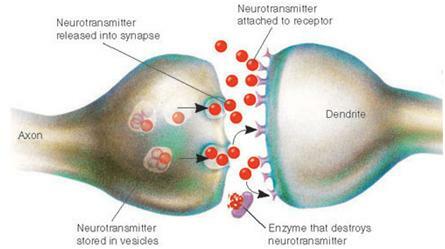 Conversely, when two neurons rarely interacted, the transmission was often incomplete, leading to either a faulty memory or no memory at all. As an example of this, consider your daily commute. You don’t really need to think consciously about how to get to work, because it is a trip you have taken so many times that the memory of how to navigate is ingrained. The neurons that control this memory have communicated so often, they have formed a tight bond, like a group of old friends. them down or print them and then pay extra attention to road signs along the way. In this case, the neurons involved in navigating to this new destination have not shared synapses frequently before and so they communicate incompletely or inefficiently. This requires forming new connections within the brain, which results in greater conscious effort and attention on our part. This research has important implications for learning, especially regarding how we acquire new knowledge, store it in memory and retrieve it when needed. When learning new things, memory and recall are strengthened by frequency and recency. The more we practice and rehearse something new and the more recently we have practiced, the easier it is for our brain to transmit these experiences efficiently and store them for ready access later. This process is called fluency. Another recent study at the Martinos Center for Biomedical Imaging, Department of Radiology, Massachusetts General Hospital and Harvard Medical School found that the structural core of the brain receives sensory information from different regions and then assembles bits of data into a complete picture that becomes a memory of an event. This memory is strengthened by multiple sensory inputs. For example, if we both see and hear something, we are more likely to remember it than if we only hear it. If we experience an emotional reaction to something – fear, anger, laughter or love – that emotion becomes part of the memory and strengthens it dramatically. In recalling memories, subjects who had experienced an emotional reaction were far more likely to remember the event and with higher accuracy than those who simply witnessed an event without any emotional attachment. That explains why highly emotional events – birth, marriage, divorce and death – become unforgettable. What does this neuroscience research suggest about learning? We need to ensure that learning engages all the senses and taps the emotional side of the brain, through methods like humor, storytelling, group activities and games. Emphasis on the rational and logical alone does not produce powerful memories. senses. The brain is programmed to pay special attention to any experience that is novel or unusual. It does this by making comparisons between the new information brought through the senses and existing information stored in our brain’s long-term memory. When the brain finds a match, it will quickly eliminate the new memory as redundant. When new information contradicts what’s already stored in memory, however, our brains go into overdrive, working hard to explain the discrepancy. If the new information proves useful to us, it becomes a permanent memory that can be retrieved later. If this new information does not seem useful or if we do not trust its source, we are likely to forget it or even reject it altogether, preferring to stick with the information we already possess. Since learning inherently requires acquisition of new information, our brains’ propensity to focus on the novel and forget the redundant makes it a natural learning ally. In fact, our brains are hard wired to learn, from the moment we are born. Our native curiosity is driven by our brain’s inherent search for the unusual in our environment. On the other hand, past memories can be an impediment to future learning that contradicts previous information. As we age and gain more experience, we tend to rely too much on our past knowledge. We may miss or even reject novel information that does not agree with previous memories. Recent brain research is unlocking many of the mysteries of learning. Learning professionals should stay abreast of these developments and derive learning methods based upon the way the brain learns naturally. The table below summarizes the three recent research findings and their implications for training. Recent brain research is unlocking many of the mysteries of learning.